If there's one thing that can be said about Nintendo's Art Style series, it's that no two games are alike, and we wouldn't have it any other way. 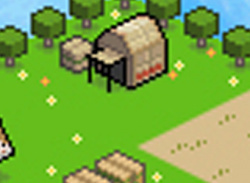 BOXLIFE is certainly another unique entry in the franchise: box 'em up and ship 'em out! 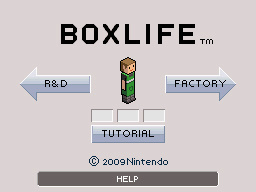 Greeted by a cute little theme song you will immediately notice - if you haven't from the title - that BOXLIFE is all.. 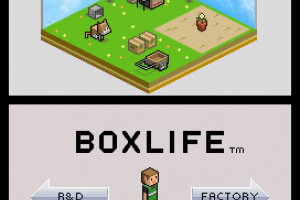 Climb the corporate ladder in the world of BOXLIFE using your wits and... paper? Use the Nintendo DSi stylus to cut and then manipulate the paper into a box shape. Be careful-if you're not efficient with your cuts, you'll waste paper and be penalized. 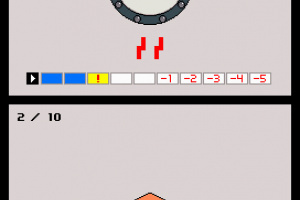 R&D mode teaches you new patterns and challenges you to complete various ranks, while FACTORY mode gives you the chance to earn money by making as many boxes as possible from an endless sheet of paper. Success in each mode brings its own reward: Clear ranks to earn a promotion, change your character's appearance, and use your earnings to acquire new items for your character's miniature garden. With this game's stylish graphics and catchy sounds, thinking inside the box isn't such a bad thing. Oh, I am so waiting for this! Yea it's alot of fun! It's addicting! I love Boxlife. It's very addicting and while I'm still learning the shapes, I think it's a fun solid game for the price. Let's have more like this! will there be a review soon? 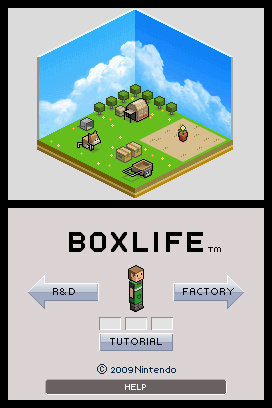 Art Style: BoxLife™ is a really fun, and challenging game. I can spend from minutes to hours playing it. I'm glad I downloaded it. IMO the best DSi-Ware game to date! 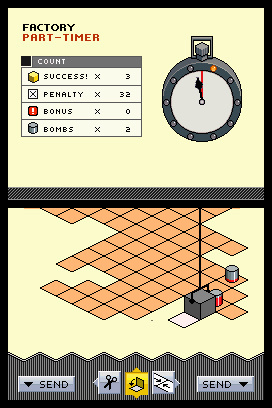 Flip Champs was great, but this has something most games don't.. that indescribable awesomeness that keeps you playing. 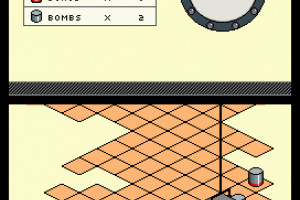 This is the most addicting puzzle game I've played since Tetris. OMG!! Ever since i booted up this game i couldnt stop! its SO addicting! This game looks so good, I can not wait until this game comes out in the UK. @15 Don't worry it comes out friday! Yeey! This game never ends. I have already over 1,000,000 million dollars and 50 items on my top screen and I still have stuff to unlock. Nearly beat it... My DSi broke, right then and there. 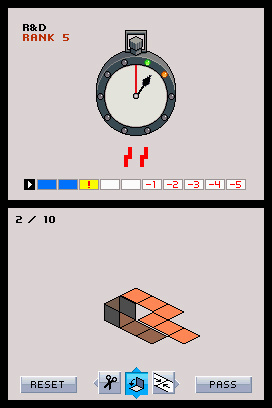 A math game, been there done that. I love this game. It's the only game in the Art Styleseries which I enjoy and find addicting. I hope skip can do other games like this. I haven't even completed the game so far and I better get cracking. This should have gotten a 10/10, probably the best all around DSiWare game to date. One of my first downloads many months ago and I seem to always come back to it.